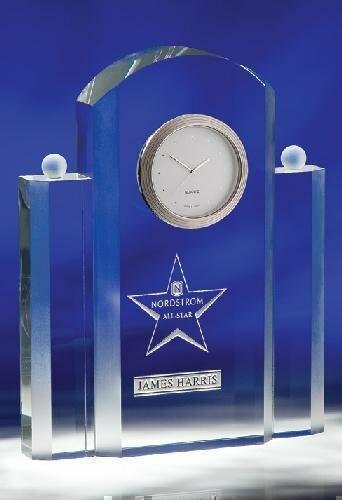 The crystal Nordic Clock is a timeless treasure, symbolizing appreciation and honor for a job well done. The unsurpassed beauty of optical crystal, combined with an elegant timepiece and a personal message, make the Rutledge Clock a welcome desk accessory. 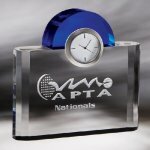 You'll reward with style when you present our very dimensional Silver tone Clock. This extraordinary optic crystal clock is a feast of facets and frosted textures that is pleasing to the eye and soft to the touch. The Silver tone also features a Japanese quartz movement and a satin finish bezel that plays well with its frosted facets. 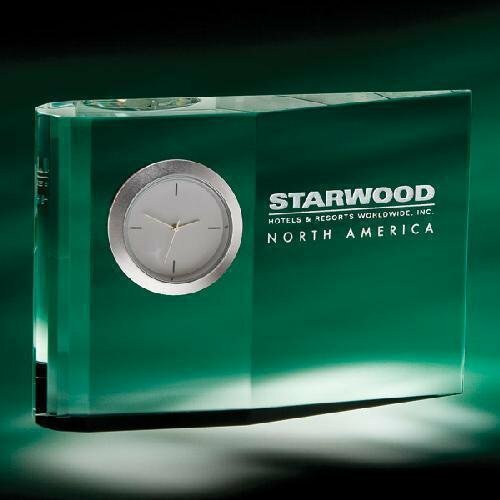 Keep an eye on time with this quartz movement clock that insures accuracy and a gift well-received. Our Zilo is made of optic crystal and features a contemporary look for up-to date executives. Comes ready to give in our equally impressive presentation gift box.